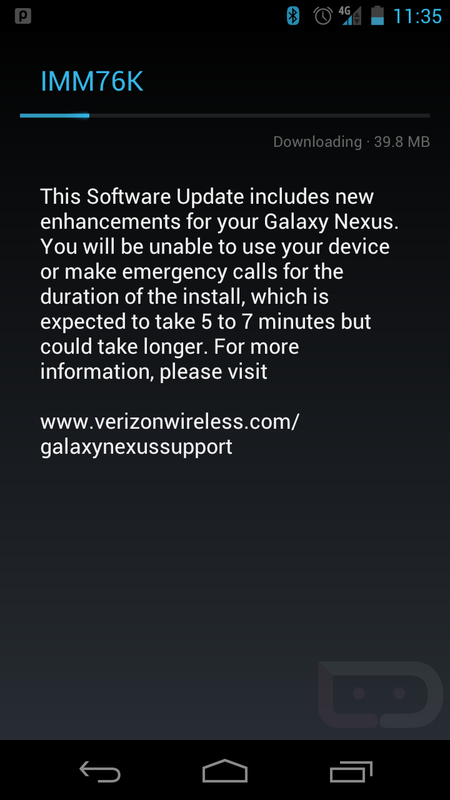 Yep, that is a screenshot of the 4.0.4 IMM76K update for the Galaxy Nexus that is apparently rolling out to a select group of users. Well, either a select group or in super small batches. We have a handful of readers who claim to have received the update, however, we keep checking with folks on Twitter and almost everyone is coming up empty. Keep on checkin’! Update: If you look through the comments, it certainly sounds like it is indeed rolling out to quite a few G-Nex owners. Settings>About phone>System updates! Update 5/31: The update is still rolling out in small batches from what we can tell. It’s about 50/50 for users finding the update available in the comments. I hate to say “be patient” but that’s about all we can say. Cheers Steve, Sean and Joseph!